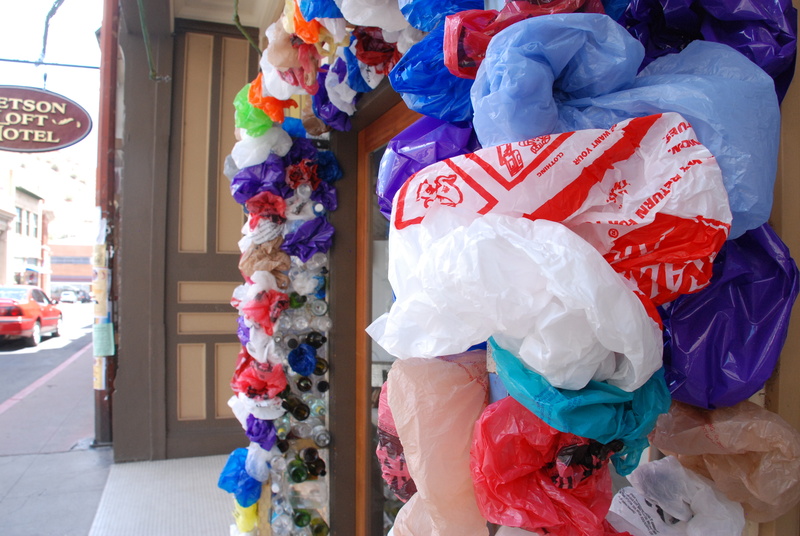 If you want to see plastic bags in Bisbee, check out this art installation in the historic downtown. You won't find the bags in stores, however. They were banned in April.